A collection of Beautiful Arch Packages specially put together to add that special touch to your Wedding Ceremony! All arches are dressed with your colour sashes or can be dressed with Organza & Silk Ivory Roses & Variegated Ivy. 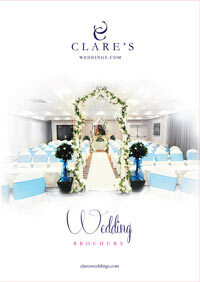 The Venue Dressing Gallery takes you to more beautiful images of Arches & various Venue Dressing! Single Arch dressed with Organza, Ivory Rose & Variegated Ivy garlands & accompanied by two Bay Trees with fairy lights.